In response to the threat of a public campaign by a U.S.-based lobbying group, Ingersoll-Rand PLC joined a group of publicly-held companies that have agreed to halt sales of products to customers in Iran even though the sales are apparently legal and in compliance with U.S. laws that severely restrict exports to Iran. Caterpillar Inc., General Electric Co. and Huntsman Corp. have recently made similar announcements. 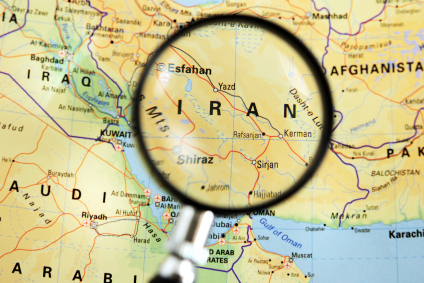 Siemans AG has said it will not “accept new business with Iran” starting in mid-2010. UANI is a U.S.-based non-profit that describes itself as “a non-partisan, broad-based coalition that is united in a commitment to prevent Iran from fulfilling its ambition to become a regional super-power possessing nuclear weapons.” The organization’s board of advisors includes former U.S. Ambassadors Richard Holbrooke and Dennis Ross. UANI’s President is Mark D. Wallace, a former Ambassador to the United Nations under President George W. Bush. Caterpillar told UANI that that the organization had “jumped to conclusions” about the company’s businesss in Iran. In a March 25 letter (PDF), Caterpillar Chairman and CEO James Owens said “indirect sales through dealers and distributors of Caterpillar branded products in Iran amount to less than two tenths of one percent of Caterpillar’s 2009 worldwide sales and revenues. In no way are these sales material in a quantitative or qualitative sense.” Even those sales “comply with applicable U.S. export control and economic sanctions laws and regulations,” Owens wrote. UANI’s web site features the Iranian Business Registry, a database of media and academic reports about companies doing business in Iran. UANI says the registry “can be used for a number of ways for peaceful activism,” including shareholder divestment of companies continuing to do business in Iran. PreviousWhat’s the Story on “Healthy Snacks” for Children?